Whether you want to become a model or you are just starting out as one, these books provide an excellent look into the world of modeling. Some are ebooks (digital books) are others are actual books. Check them out from your local library, online or your local book store. 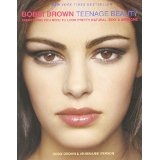 Bobbi Brown Teenage Beauty by world famous makeup artists Bobbi Brown is perfect for the girl who needs to learn how to do her own makeup, whether to be a model or just look like one. This book is full of practical advice and is easy to read. It also talks about the benefits of eating healthy food and how to take care of your skin. Break into Modeling for Under $20 is a book written by a Ford model of over twenty years, Judy Goss. Not only was she a model, she later became an agent for two of the top ten modeling agencies and her list of credentials goes on and on. In her modeling ebook, you will learn what to say and do at casting calls, how to be your own manager, determine what kind of modeling is right for you, and so much more. Modeling: How to Be Discovered by famous former supermodel Kim Alexis is an autobiography of how she was discovered at age 17 and became one of the 1980's supermodels. Hearing a model's story firsthand is a great way to determine if modeling is right for you. Kim shares what agencies are looking for and offers practical advice for aspiring models. At only seventeen pages, this digital book is a quick and easy read. 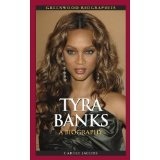 Tyra Banks A Biography by Carole Jacobs chronicles the life of supermodel, movie actress, TV talk show host, business woman and philanthropist Tyra Banks. While this isn't a book on modeling, it is an amazing true story of a powerful and inspiring role model for girls and women. Future models, take notice of what you can do! Make Up Secrets by world famous makeup artist Jemma Kid (2012) is her follow up to her 2009 book Make Up Masterclass. In Make Up Secrets, Jemma shows readers how to masterfully apply beautiful, natural looking makeup plus lots of make up artist tricks for achieving different effects. This is a must read for modern make up applications and is full of illustrations and pictures to help readers achieve the results they desire.